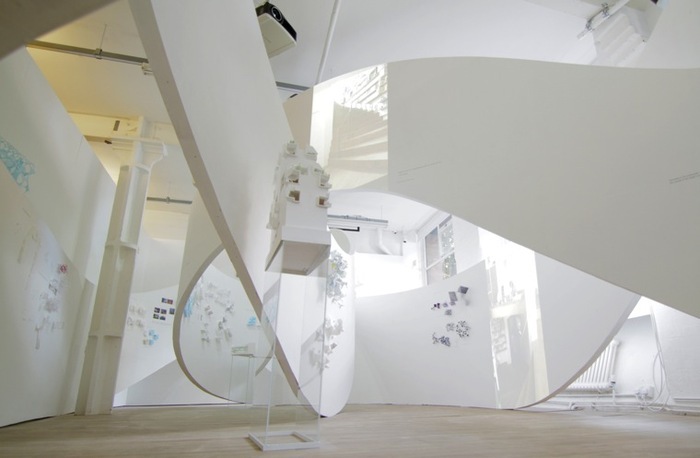 View of Akihisa Hirata: Tangling, 2012, London. Courtesy of Daniel Hewitt/The Architecture Foundation. 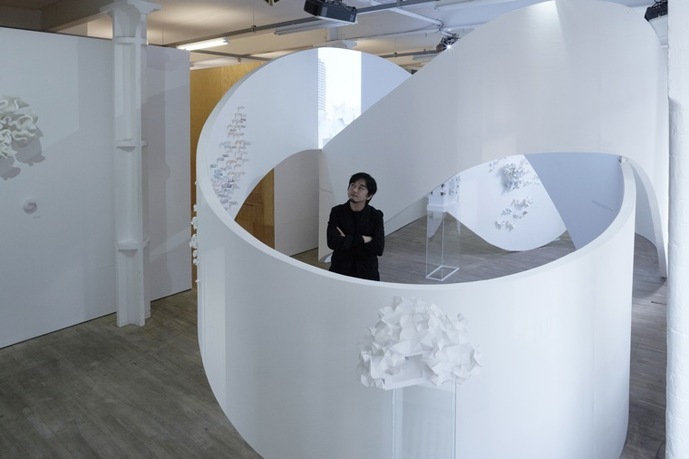 Tangling is the first-ever solo exhibition of the work of emerging Japanese architect Akihisa Hirata. 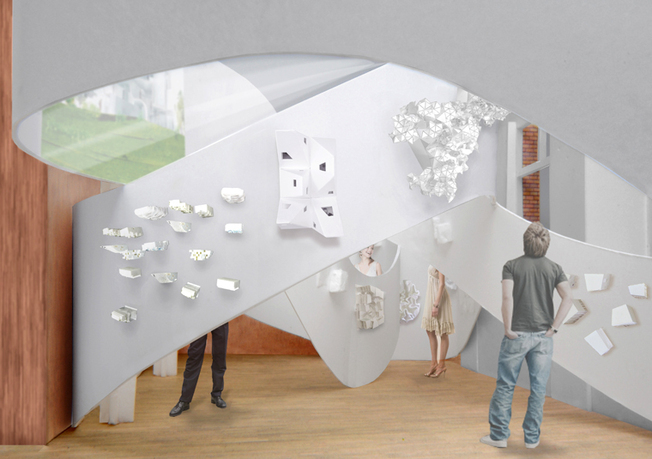 It takes the form of an immersive 1:1 installation—a contorted loop—that distills his architecture's essence into a large-scale experiential structure. 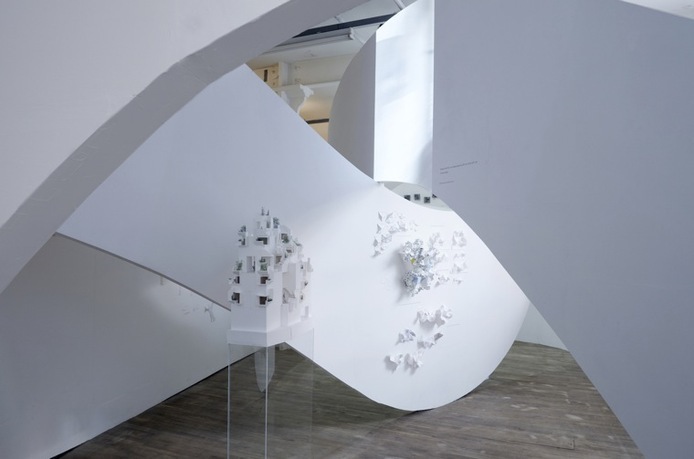 Over one-hundred study models and conceptual sketches are presented upon and among the structure, as well as a video interview with the architect by artist Maris Mezulis, to illustrate Hirata's view of architecture and ecology, form and function, as a complex, interwoven tangle. At a point in which architecture and society more broadly question their futures, purposes, and relationships to the natural world, the exhibition offers an in-depth exploration of Hirata's ideas, demonstrating his innovative formal approach (simple, elegant, and essential)—including geometric solutions that emulate and abstract nature's millions of years of experience—alongside his distinctive interpretation of the relationship between architecture and environment. Akihisa Hirata (b. 1971) is a highly regarded Tokyo-based architect working on projects both in Japan and abroad. Following studies at Kyoto University Graduate School, Hirata worked for architect Toyo Ito & Associates (1997–2005), before establishing Akihisa Hirata Architecture Office (2005). Realizing commercial buildings, housing, and individual homes, Hirata's accolades include the SD Review Asakura Award (2004), the Japan Institute of Architects New Face Award (2008), and ELLE DECO’s Young Japanese Design Talent (2009). 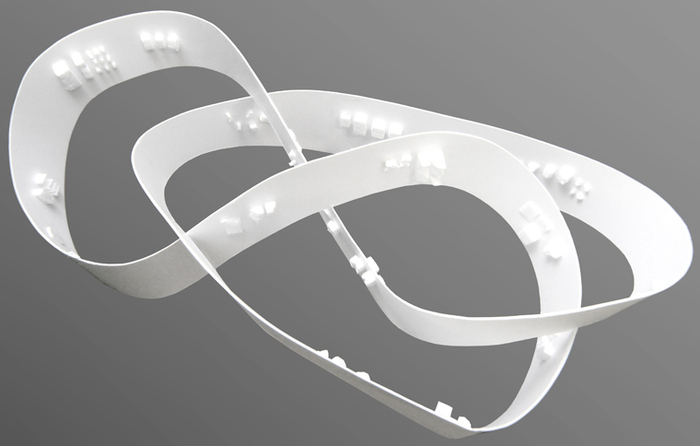 His publications include INAX Contemporary Architect Concept Series 8: Akihisa Hirata–Tangling (2011). 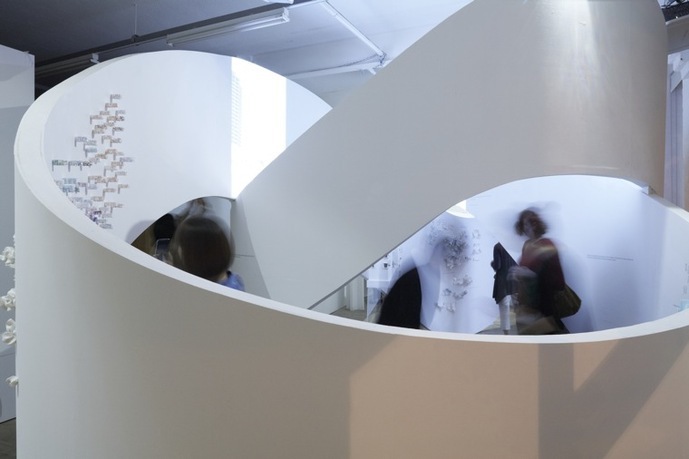 In 2011, Hirata placed second in the Kaohsiung Maritime Cultural and Popular Music Center International Competition, and created the celebrated Bloomberg Pavilion for the Museum of Contemporary Art, Tokyo. 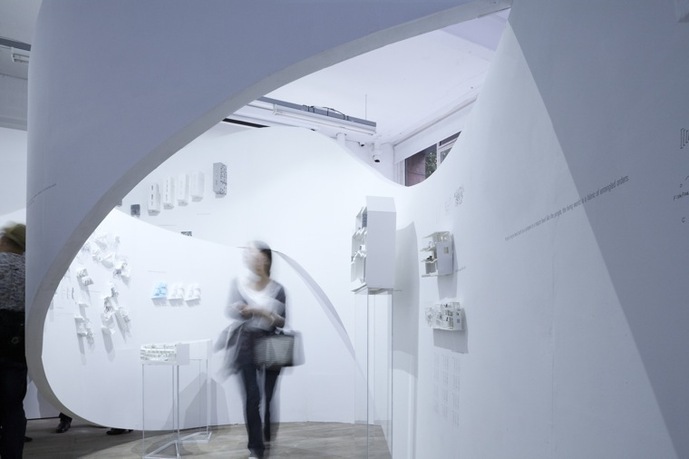 Hirata has exhibited at Art Basel, Taka Ishii Gallery (Tokyo), Milano Salone, and the Yokohama Triennale, and was recently selected to exhibit within the Japanese Pavilion at the Thirteenth Venice Architecture Biennale (Autumn 2012). Naomi Shibata (b. 1975) is a curator and editor. Shibata received her BArch from Musashino Art University, Tokyo. From 1999 to2006, she worked as editor for A+U Publishing Co., where she planned, edited, designed, and managed publications ranging from OMA's CCTV building to overviews of emerging architects in Chile. From 2006 to2007, Shibata worked as a graphic designer at Thonik, Amsterdam, under the Japanese Government’s Overseas Study Program for Artists. Since 2007, Shibata has been working as a freelance curator and editor where she has worked on exhibitions including Thonik En (Tokyo, 2009), How Did Architects Respond Immediately After 9/11? (2012), and Architecture as a Piece of Nature (Milan, 2011), a self-initiated project featuring architects Junya Ishigami, Sou Fujimoto, and Akihisa Hirata. Shibata also works with the Sendai School of Design, and continues to collaborate with other clients and organizations including Canon, JDS Architects, A+U, and DasArts. Director of the Architecture Foundation, and codirector of the London Festival of Architecture, previously Sarah Ichioka worked as consulting curator for the exhibition Global Cities at Tate Modern, and exhibition content coordinator for the Tenth Venice Architecture Biennale, coediting the exhibition catalog. A founding research associate of the Urban Age, an interdisciplinary project investigating the future of global cities, Ichioka chaired the advisory board for the British Pavilion in Venice (2010), is a nominator for the Aga Khan Award for Architecture, and has served on juries including the European Prize for Urban Public Space and Young Architect of the Year Award. Curator of public programs at the Architecture Foundation, Justin Jaeckle curates the Foundation's wide-ranging program of exhibitions, events, and symposia—including the exhibitions Living Architectures (Ila Bêka & Louise Lemoine), At Home with Mme Le Corbusier (with Pin-Up Magazine, Andrew Ayers, and Simon Fujiwara) and Just The Flipside of the Wall (Post Works), alongside the screening program, Architecture on Film, in response to which he was invited to speak at the launch for UNESCO's inaugural City of Film. 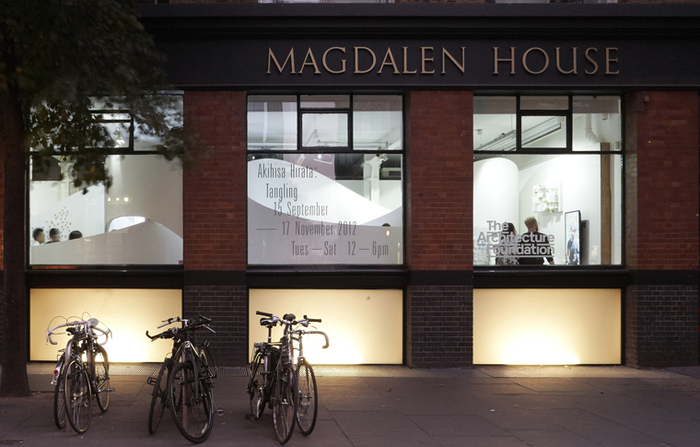 Jaeckle also curates programs for the AF's institutional collaborations, including the Victoria & Albert Museum, Barbican Art Gallery and the Tates, Britain and Modern. Maris Mezulis is a filmmaker and visual designer working at the intersection of architecture, cinema, and photography. He produces remarkably clear images and films bearing a distinct tonality and compositional approach, while his installations illuminate new ways of seeing. Self-taught in photography and the graphic arts, Mezulis studied cinema theory and production in Toronto. From 1999, he worked with Bruce Mau, directing multi-screen video installations and contributing to design projects for notable clients. Establishing an independent practice in 2003, Mezulis continues photographing and making films, while engaging in collaborative projects with curators, editors, and architects around the world. Established in 1991 as Britain's first independent architecture centre, the Architecture Foundation is a non-profit agency for contemporary architecture, urbanism, and culture. We cultivate new talent and new ideas. Through our diverse programs, we facilitate international and interdisciplinary exchange, stimulate critical engagement amongst professionals, policy makers, and a broad public, and shape the quality of the built environment. We are independent, agile, inclusive, and influential. Central to our activities is the belief that architecture enriches lives. The Architecture Foundation's diverse and cross-disciplinary program includes events, from film screenings to lectures and debates; exhibitions that experiment with representations of architecture; competitions and commissions for buildings and public spaces; awards that celebrate excellence in contemporary architecture and urbanism; educational projects, focusing on young people considering further built-environment study; and a wide-range of other projects, including the New Architects International Exchange Program and the London Festival of Architecture.